Stunning 2 bedroom house in excellent condition and 2 bedroomed annexe. Over 42 acres of land . . .
Ampus, lovely one level modern house, 3 bedrooms, garden, walking distance to the village. This one level property offers a great location for a main house or holidays home. Walking . . .
Ampus. Lovely 3 bedroom village house, large living room with mezzanine, and cellar. A very spacious 3 bedroom 110m2 village house, right in the heart of the village, local . . .
Ampus. 2 bedroomed central village house. In the heart of the village, house with 70m², 2 bedrooms, south facing. 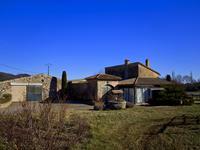 Ampus, Beautiful stone village house in Provence with: 2 bedrooms, living room, dining kitchen. This lovely village house is situated in one of the most beautiful villages in Provence. . . .
Ampus, a Provencal village just 12km inland from Draguignan and 30km (35 minutes) from TGV . 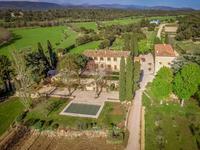 . .
Sets in a huge parkland,extensive woodlands, lakes, classically styled gardens, this Domaine . . . Stunning 2 bedroom house in excellent condition and 2 bedroomed annexe. Over 53 hectares of . . . 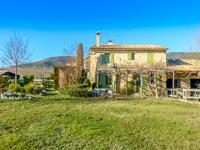 In the heart of a lovely Provencal village and close to all amenities, a spacious village . . . This sunny flat plot of land has several truffle trees. ( 70 trees all with number) Very . . .